University of Georgia Cooperative Extension pecan specialist Lenny Wells fears Georgia’s pecan crop will fail to meet initial production projections by as much as 20 million pounds. Instead of the 110 to 120 million pounds projected more than a month ago at the start of the harvest season, Georgia is now expected to produce between 90 and 100 million pounds of pecans, said Wells. Wells’ forecast comes on the heels of the start of the pecan harvest, when weather conditions were less than ideal. Georgia producers prefer cooler temperatures and drier weather, which help to preserve the crop for as long as possible on the tree. This fall’s warmer temperatures combined with recent rain showers led to a deterioration in the quality of this year’s Georgia pecans. “We’re starting to see some quality issues to the point that the percent of the kernel (that’s filled) is running a little bit low, lower than normal. The size of the pecans is good, but to some extent that could be part of the problem. Any time you have a large nut size with a heavy crop load on the tree, it’s hard for the tree to fill those kernels, even under the best conditions,” Wells said. The average pecan typically has 50 percent of its kernel filled. 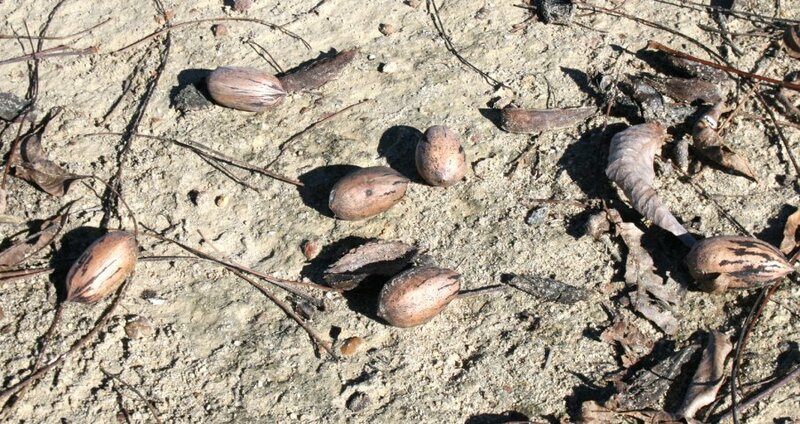 The Desirable variety—Georgia’s most widely grown pecan variety—usually has as much as 53 percent of its kernel filled, but has dropped to 47 percent this year in many orchards, Wells said. The UGA Extension expert blames cloudy weather toward the end of September for the reduced kernel fill. Wells said unseasonably warmer temperatures this fall—above 80 degrees Fahrenheit during October and November—followed by heavy rainfall also led to sprouting, or premature germination, in the Stuart variety. Sprouting is germination of the seed while it is still on the tree. In addition to weather-related problems, Georgia pecan growers fought late-season aphids and spider mites in September. Producers had to apply additional spray applications to preserve their crop, he said. “If you’ve got that much pressure, even if they’re spraying them, that creates a lot of stress on the tree,” Wells said. Wells recommends growers shake the trees and harvest the nuts as soon as weather conditions allow. For the latest on Georgia’s pecan crop and UGA Extension pecan research, follow Wells’ blog at blog.extension.uga.edu.